Bamboo Refined is located at Dagun, on the northern end of the Sunshine Coast. We stock the best quality bamboo flooring and try to maintain adequate stocks in our warehouse. We invite potential customers to visit us here (by appointment, please) and see the various floor types. Sample pieces are available to take home and compare to furniture and wall colours etc. Go to our Pricelist page for prices, Bamboo Flooring page for information about the types of flooring, or click Contact for further information. 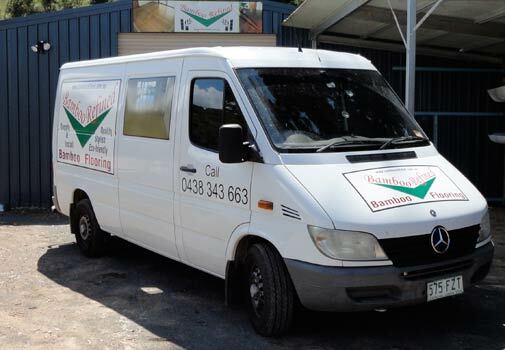 We regularly visit and install floors in the Sunshine Coast region – from Caboolture, Caloundra, Maroochydore or Nambour, to Noosa, Tewantin, Boreen Point and Pomona – we are the primary suppliers and professional installers for the region. We will come to your house and advise, show samples and discuss, as well as measure and give the most competitive quotes. You will be pleasantly surprised by our quality, reputation and price. At Bamboo Refined, we are your one stop shop with the best bamboo flooring and expert laying for you. 0438 343 663 or 5484 3663 or r submit the enquiry form below.